Once thought of as a luxury reserved only for the wealthiest homeowners, golf course communities today are found in a wide variety of price ranges and locations. While some of the more elite and prestigious golf communities remain beyond the budget of many retirees, a number of residential golf properties are reasonably priced and may be considered to be among the most affordable and best places to retire in the U.S. In fact, before the current economic downturn, there was a growing trend by developers of manufactured home communities and affordably-priced retirement communities to include golf courses as one of their primary amenities. 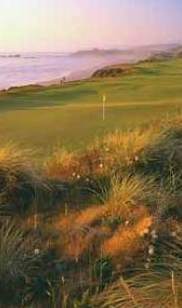 Whether you prefer an inland locale such as the mountains of western North Carolina or the more "links" style courses of a coastal area, the selections listed here should meet the requirements of the most discerning golfer. This page also includes detailed profiles of specific cities and small towns where golf remains accessible and affordable for the average retiree and that our editors consider among the best places to retire for the serious golfer. 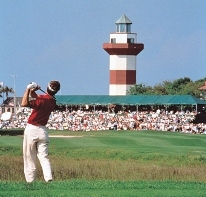 This premier Coastal Carolina golf community offers the best in coastal living. If you're looking for affordable retirement living near beaches and golf courses, Brunswick Plantation and Golf Resort is the perfect choice. Conveniently tucked away from the crowds, but just minutes away from Myrtle Beach, SC and Wilmington, we have been voted one of the Top 50 golf resort communities in the U.S. Request more information on Brunswick Plantation. A limited selection of homesites is now available in this 5,000 acre active lifestyle community in the Golf Capital of Tennessee. You'll find a host of amenities with four lakes, a 100 slip marina, 18 hole golf course, indoor and outdoor pools, nature trails, tennis courts and much more. Located on top of the panoramic Cumberland Plateau, our residents enjoy a mild climate surrounded by the great outdoors. All lots priced at $14,900. Request more information on Lake Tansi. Savannah's newest gated community, The Gates will feature 6 flexible one and two story single family homes on 230 wooded and lagoon home-sites. Located adjacent to Savannah Quarters, and a magnificent Greg Norman Signature Golf Course, The Gates are just minutes from historic downtown Savannah and readily accessible to the beautiful beaches and great golf courses of Hilton Head Island. Request more information. With three great Del Webb communities in the Hilton Head area, active adults have a wide choice of home designs and a whole host of activities available for year-round enjoyment. 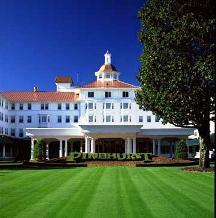 You'll find great times on our golf courses, tennis courts and playing fields. All of this in the warm South Carolina sunshine, just minutes from the beautiful sands of the Atlantic coast. Request more information on Sun City Hilton Head. Bordered by Melton Hill Lake and the public Centennial Golf Course, this new active adult community offers a choice of one to three-bedroom units priced from the low-$200's. Located a short drive from Knoxville, retirement life at Centennial Bluff combines the security and community of a small town setting with the conveniences of urban living. Request more information on Centennial Bluff. Located in the beautiful community of Prince Creek in Murrells Inlet and adjacent to TPC Myrtle Beach golf course, you'll enjoy the convenience of everything the Grand Strand area has to offer, highlighted by protected wetlands and relaxing water views. Request more information on StoneGate. Sun City Peachtree, an active adult community by Del Webb, offers everything from sports, fitness, and events to clubs, classes, and workshops. And, there's a full-time Lifestyle Director who makes sure you find what you want to do. Here, a dazzling recreation campus, wonderful homes, and a championship 18-hole golf course will create a dynamic setting for your new life. Request more information.